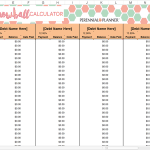 Here we are going to help you manage petty cash system with this petty cash log template because we always help you to get things accomplished properly eliminating any single error or mistake. Petty cash log facilitates a petty cash manager to keep proper track of all petty cash transactions and entries in best and organized way for record keeping purposes. As a petty cash manager you know very well that if anything goes wrong in petty cash management, you will be blamed for the slip-up and that is the reason we recommend you to download and use petty cash log template to stay on track while managing petty cash of a company or business. Petty cash is a dedicated amount of money used to manage tiny but important purchase and expenses of the company or business. Funds of petty cash can be used to buy official stationary, for payment of deliveries or postage, meeting meal, daily wages, repairing of office furniture and purchase of other office material etc. Petty cash can be a hugely beneficial tool around the office to spend money on small expenditures and purchases if done correctly but if proper steps aren’t taken, then it can quickly become a major money ditch that can cause an abnormal loss. Companies with large scale always use petty cash logs to record and track petty cash transactions efficiently in order to stay away from mistakes when it comes to reimburse petty cash funds from general account of the company. 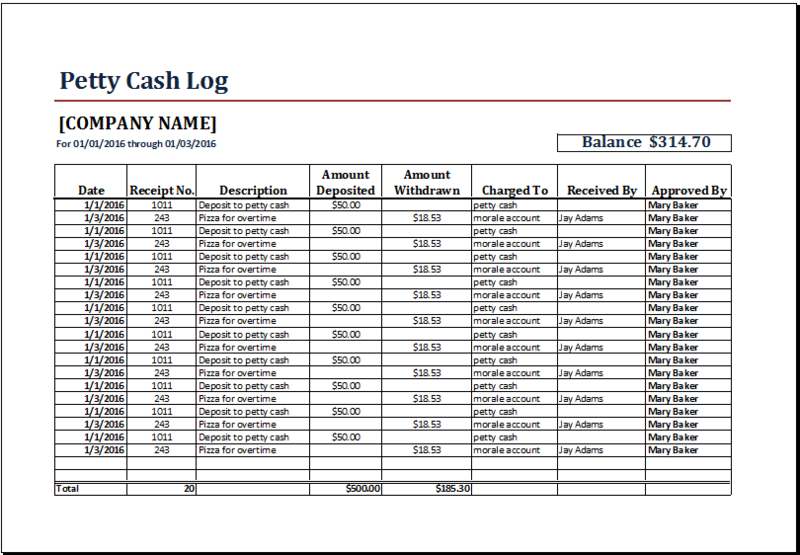 Petty cash log template is available in ready to use format that any company or individual business owner can use to manage petty cash in an organized manner. Petty cash log template comes with alterable fields which means you can shape the petty cash log as per individual needs easily.